Warehouse hours vary - please contact to set up a meeting time. 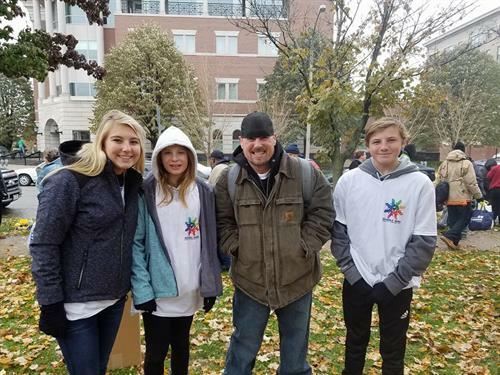 Since reconnecting with their estranged Grandpa in the summer of 2015, and learning he was homeless for a number of years, siblings 11-year old Addisyn Goss, 14-year old Jaxson Goss, and 16-year old Sheridan Goss, have been on a mission to help fight this horrible reality. 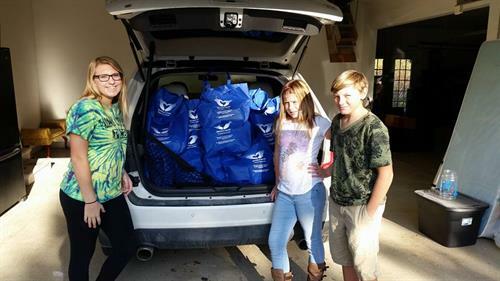 After coming across the idea of making survival kits for those less fortunate, they immediately reached out to family, friends and the community in hopes of getting items donated, and started Snuggle Sacks in 2015, as Addisyn says everyone deserves love and snuggles. 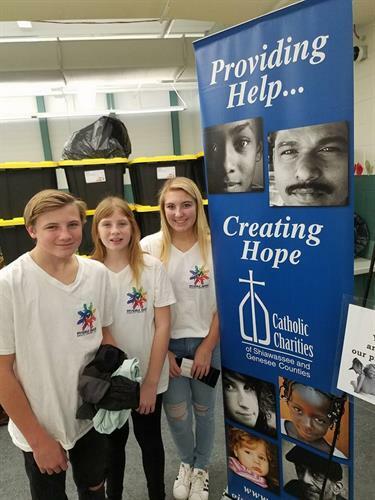 Three years later, they now have their own warehouse in the Fenton area where they welcome volunteers, and provide over 1,000 sacks per month to people in need, through means of shelters, state organizations, churches and street outreach. Items always needed include: new socks, gloves, small blankets, chapstick, applesauce, toothbrush / toothpaste, hand and foot warmers, raisins, crackers (or any combination of protein type snacks), basic travel size toiletry items, including shampoo, conditioner and deodorant, and much more (full list can be found on the website - www.snugglesacks.org). The trio also plays a big part in the advocacy to end homelessness, and were recently featured on the Today Show, USA Today, New York Times, Radio Disney, and more! We are located just east of North Leroy Street on Dauner Road, and share a building with Animal Health Clinic.